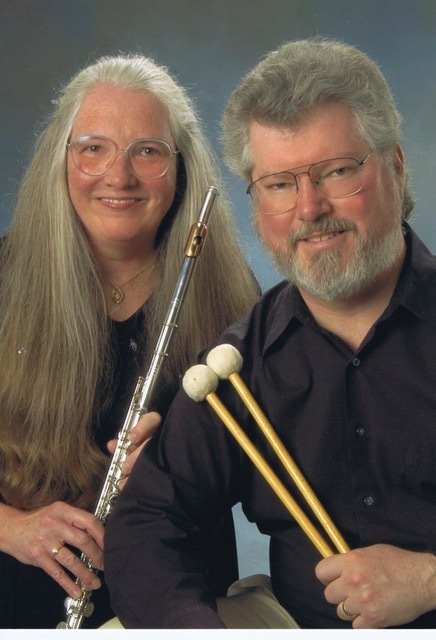 Eager to foster the repertoire for flute and percussion, the Armstrong Duo has enthusiastically commissioned and premiered new works by composers Dana Wilson, Dan Welcher, Lynn Glassock, Philip Parker, and Burt Fenner. The Duo has presented concerts at numerous universities cross-country, and has given pedagogy presentations at percussion symposiums in Denver, Philadelphia and UNC Greensboro. Featured by the National Flute Association, the Duo also performed at national conventions in New York City, Phoenix, Columbus and Nashville. The Duo has released two compact discs - "Exotic Chamber Music" (Centaur Records) and "Creative Mix," (Gasparo Records). Orchestrally, Eleanor performed with the Oklahoma City Symphony for thirteen years. She served as piccoloist with the Juilliard Theater Orchestra (master's degree study) and with the Aspen Festival Orchestra for five seasons. Other summer venues include the Breckenridge (CO) Music Institute and Music at Penn's Woods (PA). Dan has performed with the Dallas, Ft. Worth, and San Antonio Symphony Orchestras and served as Percussionist and Assistant Timpanist with the Oklahoma Symphony for six years. Summer positions have included the Aspen, Grand Teton, Breckenridge (CO) and Colorado Music festivals, as well as the Santa Fe Opera. In addition to the Pennsylvania Centre Orchestra, he currently performs as Principal Timpanist with the Academy Chamber Orchestra of Pittsburgh, the Altoona Symphony, and the Penn's Woods Festival. Reflecting on their 27 seasons with the Pennsylvania Chamber Orchestra, Dan and Eleanor are most pleased to bring their Armstrong partnership to this very special "Dynamic Duos" concert! 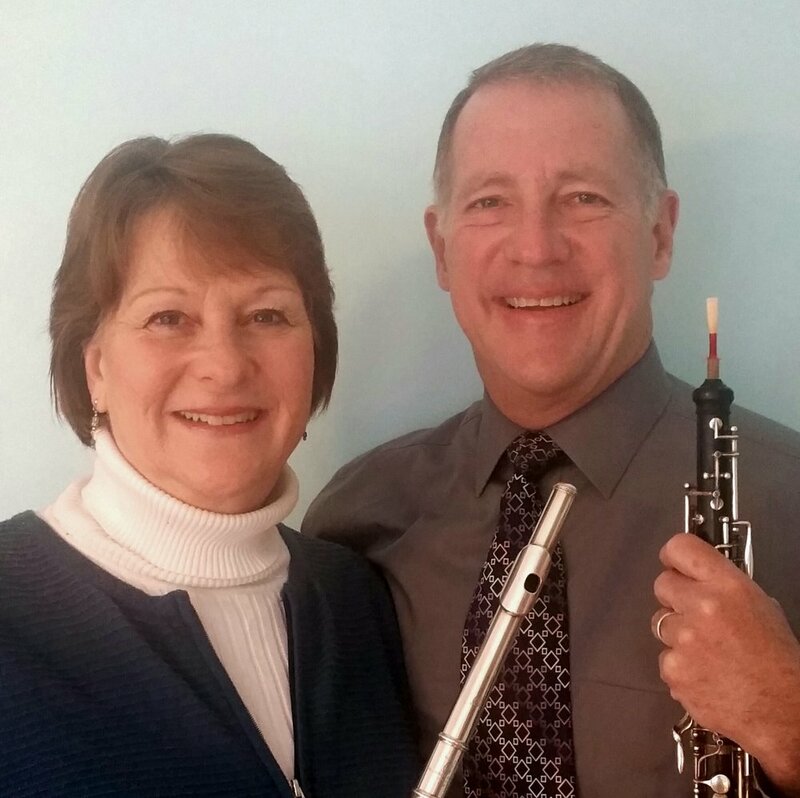 Barry and Susan Kroeker have been performing together since their college days in the late 1970s when they were music majors in the Wheaton College (IL) Conservatory of Music. Following graduation, they were married in Susan’s hometown of Hingham, Mass, and both attended the Hartt School of Music (CT), receiving Master of Music degrees in oboe and flute performance respectively. Barry has studied oboe with Ray Still (Chicago Symphony) Richard Woodhams, Russell Platz, and Bert Lucarelli. Susan’s principal flute teachers were John Wion, Russell Platz, James Pappoutsakis, and Samuel Baron. 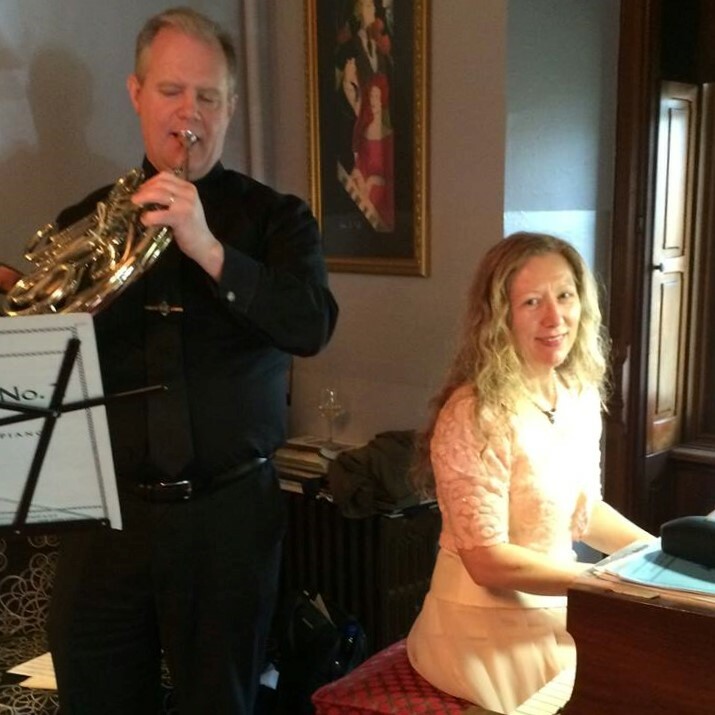 Both Barry and Susan have decades of experience performing with orchestras, chamber ensembles, and as instrumental instructors. Both performed as full-time principal wind players in the South Dakota Symphony and Dakota Wind Quintet, and have instructed oboe and flute majors at several colleges including Penn State. Barry is currently second oboist in the Pennsylvania Chamber Orchestra and principal oboist with the Nittany Valley Symphony. He is also employed full-time at EnergyCAP, Inc. in State College as Senior Manager, Communications. Susan is principal flutist with the PCO and performs as flutist/piccoloist for the Nittany Valley Symphony. She also “moonlights” as executive director and personnel manager of the PCO. The Kroekers have raised 5 adult children, and have 4 adorable grandchildren aged 4, 3, 2, and 1. In addition to their orchestral activities, Barry and Susan are excited about their recently-formed chamber ensemble, called Da Capo, with pianist Kathy Cinatl. This new ensemble is building a repertoire of familiar and new music, as its members revisit their musical “roots,” playing chamber music together as a couple as in their younger years. 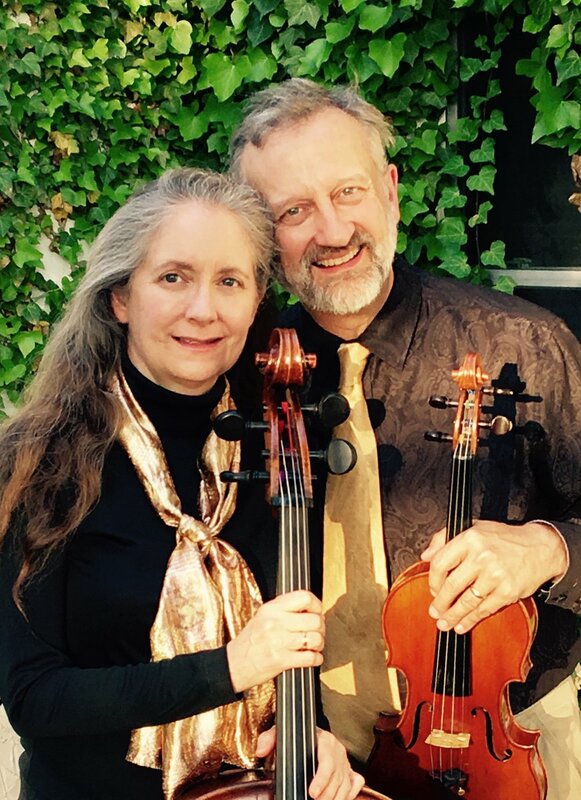 Carol and James Lyon met at the Castleman Quartet Program during the summer of 1980. Their first date was four months later at the Eastman School of Music’s Christmas Dance. Three months after graduation in 1983 they married and moved to Louisville, KY where they taught at Indiana University Southeast and performed in local professional arts organizations. A year later they moved to Amarillo, TX where Jim performed in the Harrington String Quartet and Carol performed with the Amarillo Symphony. During their seven years in Texas their two daughters, Clara and Elizabeth, were born. In 1991 they moved to the State College area, where Jim assumed a professorship at Penn State and they both performed in various local ensembles, including PCO. Their son, Nicholas, completed the family when he was born at Mount Nittany Hospital in 1993. For many years the Lyon Family Chamber Ensemble performed both locally and further afield, including performances at St. Patrick’s Cathedrals in both New York City and Melbourne, Australia. Since 1992 the Lyons have lived in Boalsburg with various poodles, a cockapoo, and several cats. Matt Patton and Svetlana Rodionova have been together since 1993, when they met in Barcelona at the beautiful, ornate Palau de la Musica, where Matt played in the Orchestra de la Ciutat de Barcelona and Svetlana had performed a concert with the orchestra’s concertmaster. Svetlana was teaching at the Academia de Musica Virtelia at the time. Matt had journeyed from Omaha, and Svetlana from her home in Saint Petersburg, Russia. They married in Bellefonte that same year. After several years in the Midwest, Svetlana and Matt moved back to Matt’s hometown of State College in 2005. When asked when he learned to play, Matt says he is still learning to play the horn, but that he first started in fourth grade at Radio Park Elementary School. Svetlana started playing the piano when she was five years old, and received all of her degrees, including a DMA in Piano Performance, in her native city of Saint Petersburg. Matt and Svetlana have been playing with the PCO since returning to State College. In 2011 Svetlana performed the Tchaikovsky Piano Concerto with the orchestra, and has appeared as the featured soloist on multiple other occasions. Matt teaches history at State College Area High School. Revamped Duo with Sally Williams Minnich and Mark Minnich fuses pop, jazz, classical, rock, folk, and even hip-hop styles in a way entirely their own. They create concert experiences with artistically profound and impossibly complex arrangements, electronic and altered instruments, vibrant color coordination, theatrics, and signature stunts- all done with mind-boggling precision- to awe and inspire audiences around the world. Through extended techniques of their own invention, these two performers become the stride pianists of the string world, evoking the sonic landscapes of large ensembles of diverse instrumentation to wow audiences of all ages. Integration with live-streaming and social media places viewers in the center of the action, while a touch of humor and their personable interactions round out every unforgettable show. Sally and Mark met briefly in high school and again in college at Bowling Green State University in Ohio, where duo and dating began in 2009. They moved to State College for graduate studies shortly after their wedding in 2012 and have been playing with the Pennsylvania Chamber Orchestra ever since. Both have performed as soloists with the PCO, the Altoona Symphony, and the Cleveland Pops Orchestra. They maintain studios in the State College Suzuki Program at The Music Academy, as well as at the Grier School. Sally directs the State College Suzuki Program, and both Mark and Sally serve as members of the Penn's Woods Music Festival orchestra and advisory council. Mark and Sally also hold principal chairs in the Williamsport Symphony Orchestra and are founding members of the Allegria String Quartet. 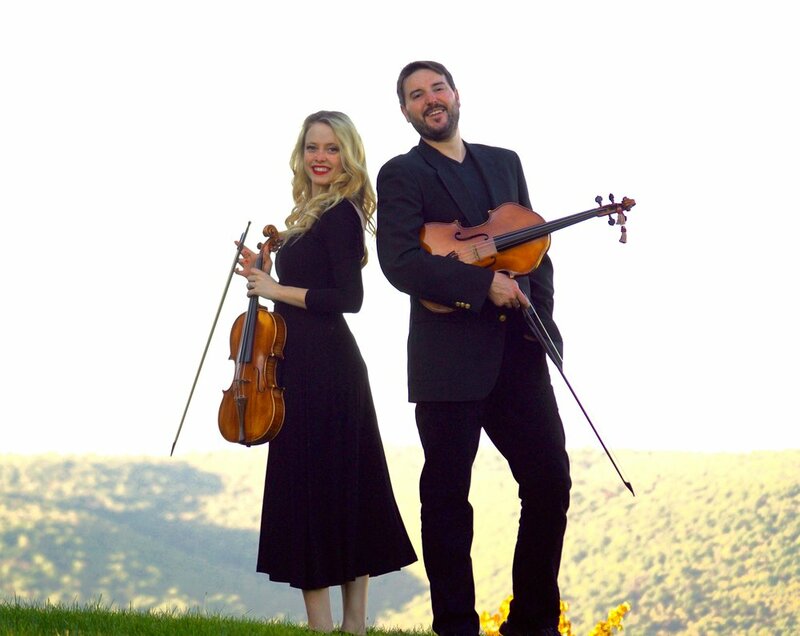 Now based in Lycoming County, Pennsylvania Violist Ashley English Tobin and Violist/Baroque Violinist John Paul Tobin met in 2013 while working together with the Corona Symphony near Los Angeles, California. Originally from the Philadelphia area, John Paul Tobin worked as a studio musician, soloist, chamber musician, conductor, and teacher in Los Angeles, California from 2004-2016, appearing regularly as a guest musician on television broadcasts such as "American Idol" and "The Voice." As a conductor, he has worked extensively with young musicians from the elementary through collegiate levels across the United States, and has served as Principal Conductor and Artistic Director for two youth orchestras within the Harmony Project Los Angeles system --one of the nation's largest and most effective 501(c)3 non-profit youth orchestra programs. JP Tobin completed his M.M. in Viola Performance with Minor Wetzel at Cal State Fullerton. He has extensive experience in Early Music, including studies with Tafelmusik in 2001, and the co-founding of the ensemble Les Sauvages Americans in 2010. He is a member of the daKah Hip Hop Orchestra in Los Angeles, and has appeared as a Soloist, Principal Violist, and 1st violinist with the Grassroots Festival Orchestra in Ithaca, NY. Celebrated for her intense artistry and joyful energy Pennsylvania Chamber Orchestra Assistant Principal Violist, Ashley English Tobin, is quickly becoming highly sought-after as an ensemble member across the United States. Ms. Tobin has beguiled audiences with indefatigably energetic performances from her positions at the heart of PCO, Williamsport Symphony Orchestra, and the Commonwealth Pops since 2015. In Los Angeles she performs as a member of the legendary daKah Hip Hop Orchestra, bringing live, progressive Hip Hop, funk, and jazz to multi-generational festival and concert hall audiences. Keenly interested in early music, Ashley English Tobin continues to pursue Historically Informed Performance as an avid chamber musician.